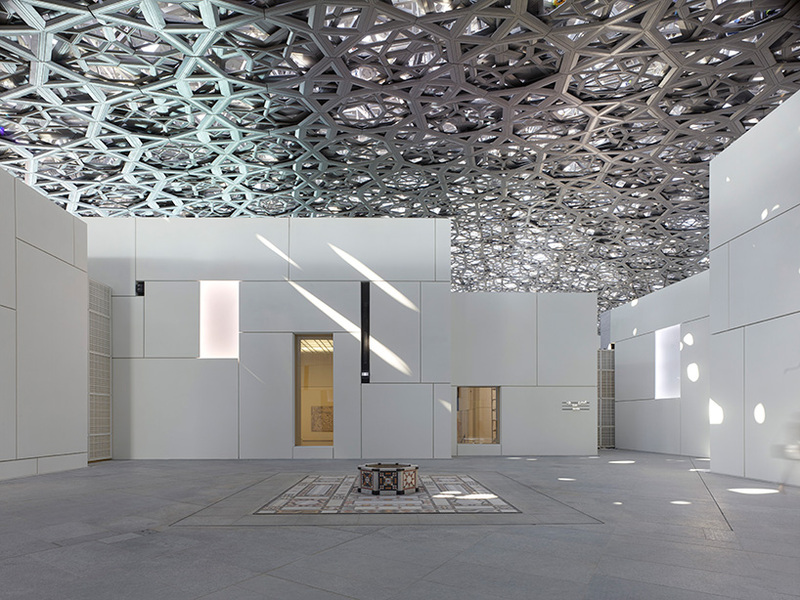 ten years ago, the united arab emirates and france signed an intergovernmental agreement to develop the first ‘universal’ museum in the arab world. 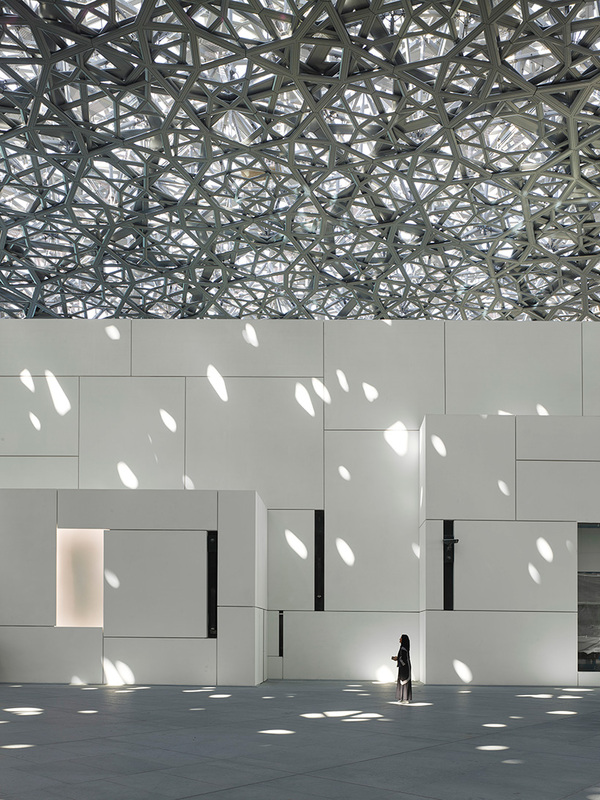 the alliance would establish louvre abu dhabi as an independent institution, and includes the use of musée du louvre’s name for the next 30 years. now, a decade later, the much anticipated jean nouvel-designed museum is opening its doors to the public for the first time. 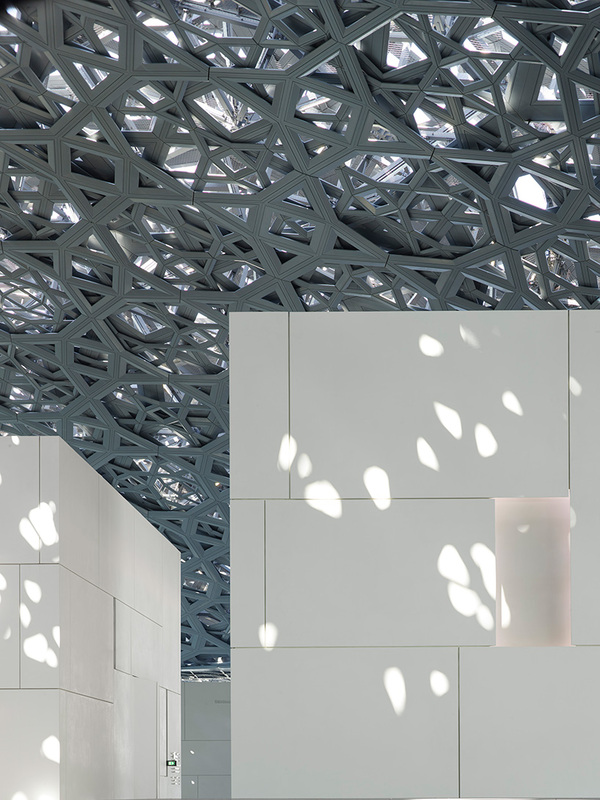 referencing traditional emirati architecture, louvre abu dhabi appears as a series of 55 white structures that mimic the low-lying settlements common to the region. the centerpiece of the ambitious scheme is a huge dome — 180 meters in diameter — that appears to float above the entire museum. this complex geometric structure comprises 7,850 ‘stars’, repeated at various sizes and angles in eight different layers. 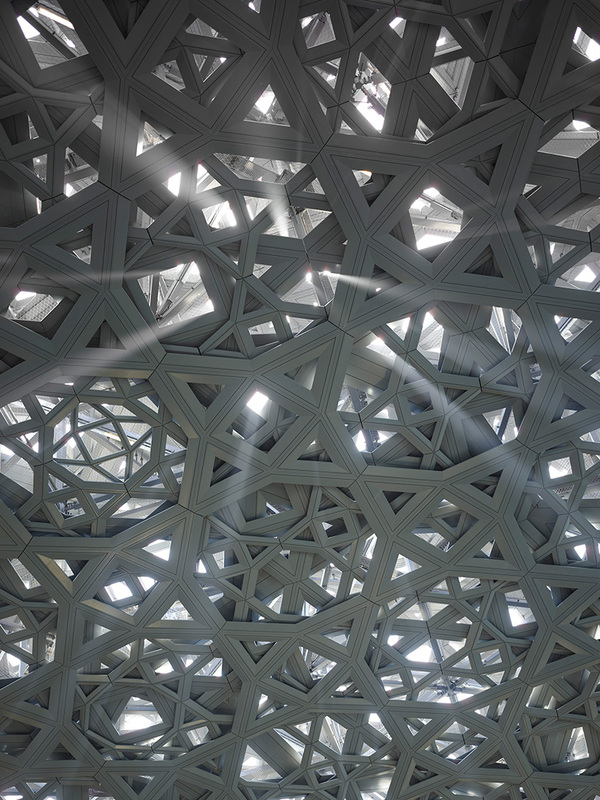 as the hot sun passes above, light filters through the perforations to create an effect referred to as the ‘rain of light’. in developing the project, jean nouvel worked closely with international consultancy buro happold engineering. the structure is supported by four permanent, yet invisible, piers, each 110 meters apart. the interior elevation is 29 meters from the ground floor to the underside of the cladding, while the highest point of the dome is 40 metres above sea level and 36 metres above ground floor level. 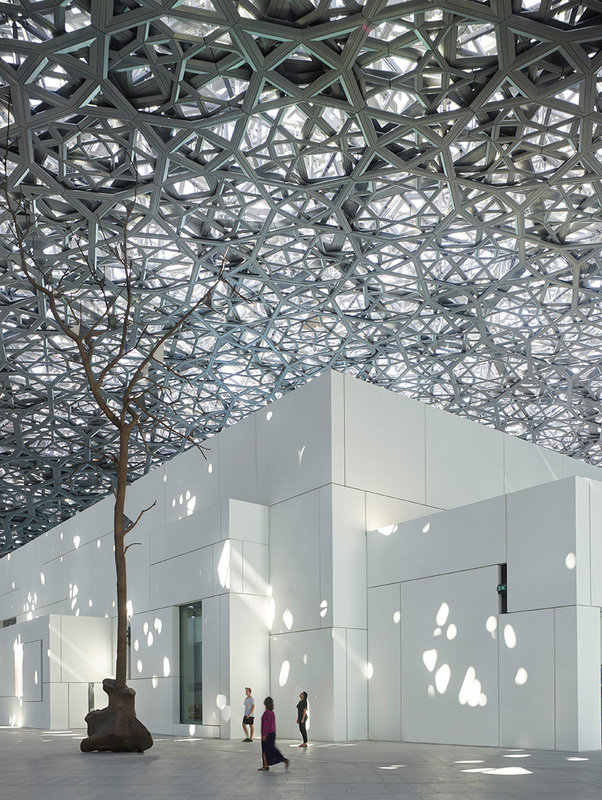 at night, the canopy forms thousands of stars, which remain visible from both inside and out. visitors, who can arrive either by land or sea, are able to explore the museum by navigating its narrow streets and detached buildings. the dome also serves a number of environmental purposes. importantly, it acts as a shading canopy that protects the outdoor plaza and the buildings below from the heat of the sun. in turn, this ensures a comfortable experience for visitors, allowing them to wander between the galleries, exhibitions, children’s museum, auditorium, and restaurant. the shade also reduces the energy consumption of each of the covered buildings. 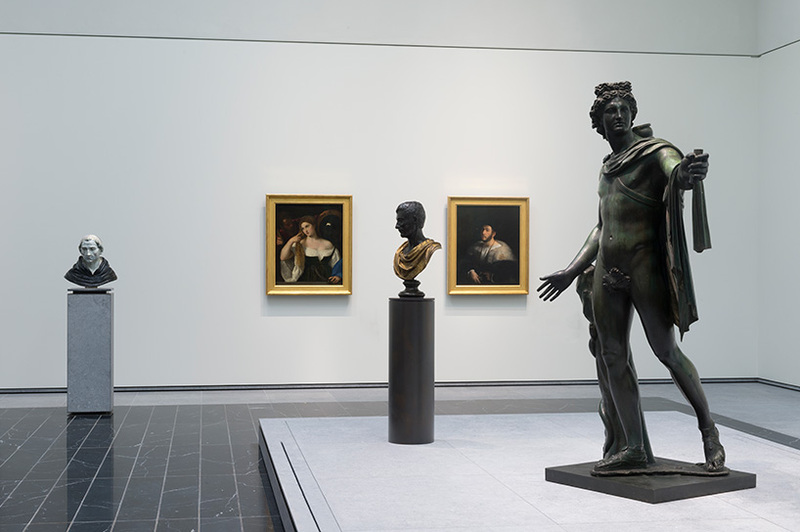 louvre abu dhabi began acquiring works in 2009, with some works already displayed as loans in cultural institutions such as centre pompidou metz, musée d’orsay, and the national gallery of art in washington DC. 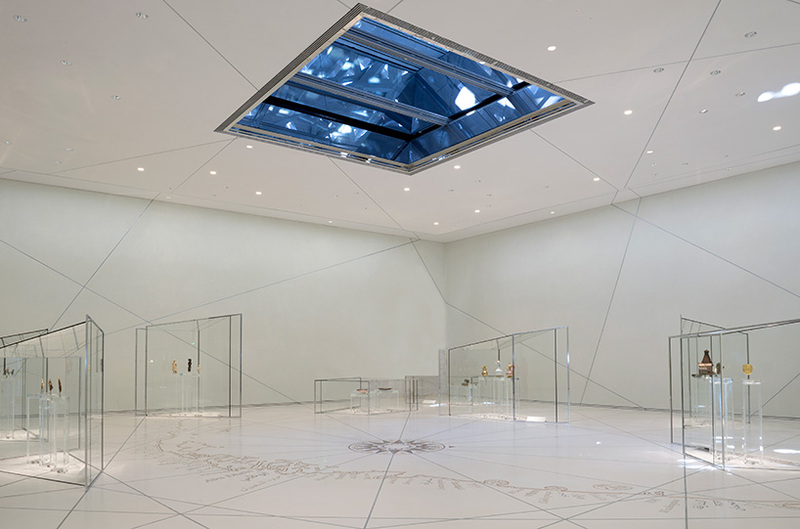 presented across 6,400 square metres of galleries, the museum’s growing collection of treasures includes more than 620 important artworks and artifacts spanning the entirety of human history. 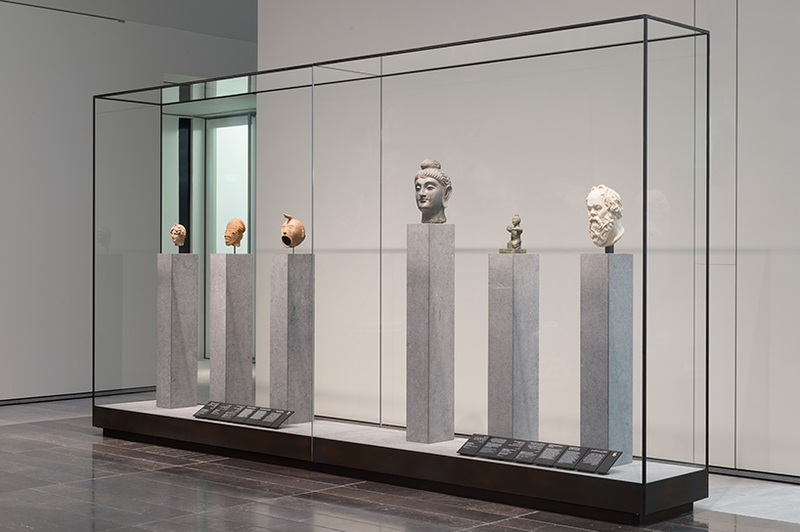 it includes ancient archaeological finds, decorative arts, neoclassical sculptures, paintings by modern masters and contemporary installations. 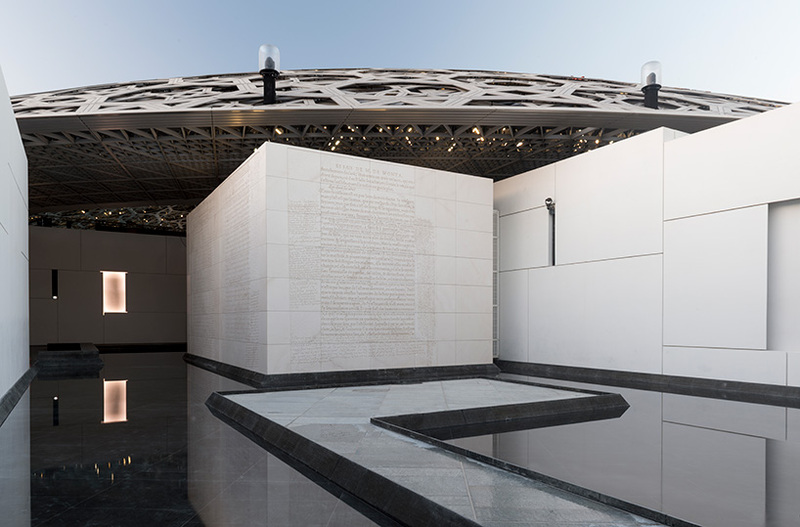 ‘this is very powerful architecture requiring strong, cutting-edge engineering and a huge team of engineers working as one to understand the clients’ desired outcomes and the architects’ response,’ explains stephen jolly, partner and global cultural sector lead at buro happold engineering. 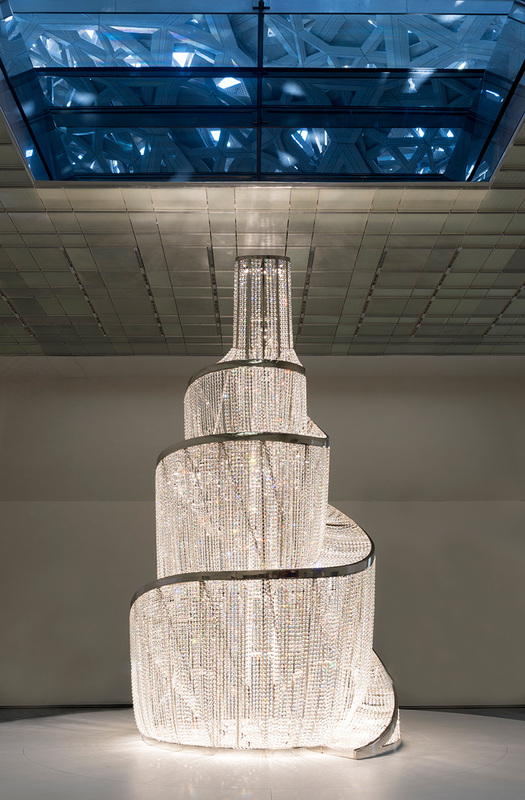 artists giuseppe penone and jenny holzer have worked closely with louvre abu dhabi’s team and jean nouvel to develop sculptures and installations that integrate into the architecture and reflect the universal stories of the building. 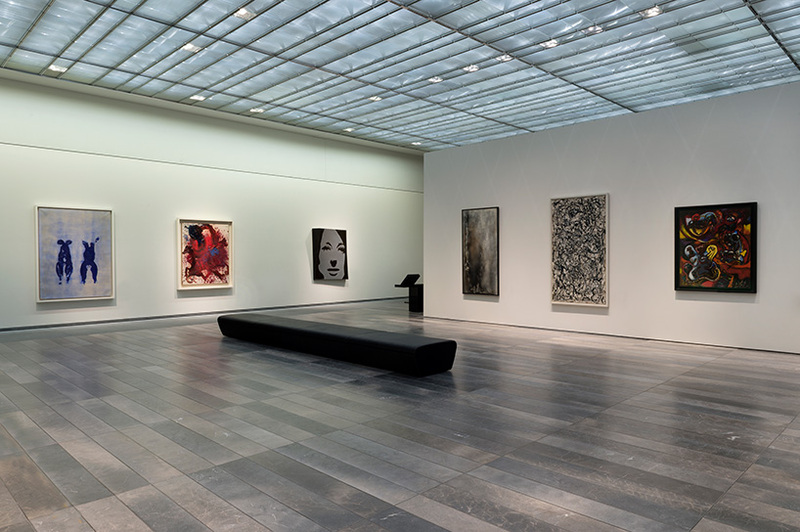 in total, at the time of the museum’s opening, 235 works from louvre abu dhabi’s own collection are displayed in the galleries. 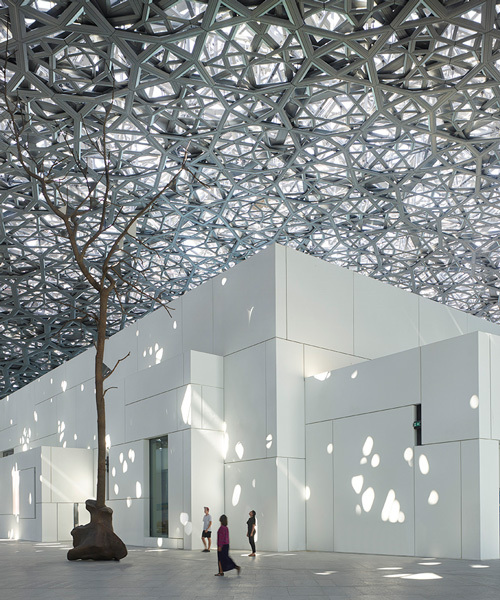 louvre abu dhabi opens to the public on november 11, 2017. see designboom’s previous coverage of the project here.